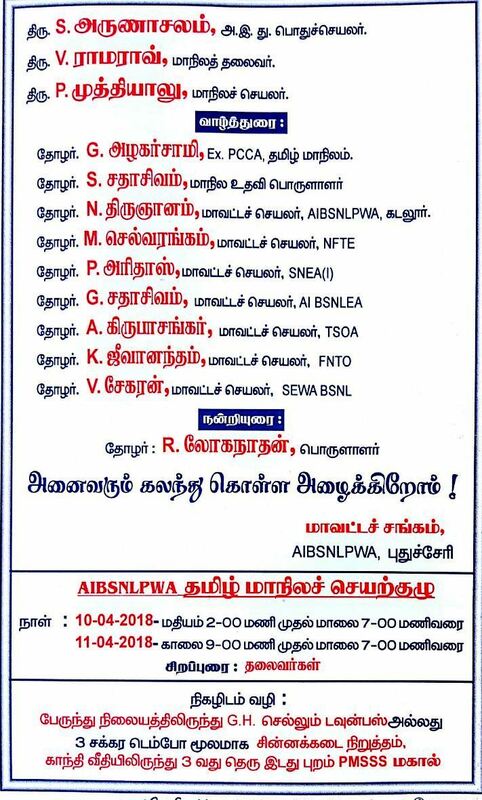 Our Tamilnadu Circle AIBSNLPWA Executive Committee Meeting will be conducted on 10th nd 11th of April 2018 at Puducherry. 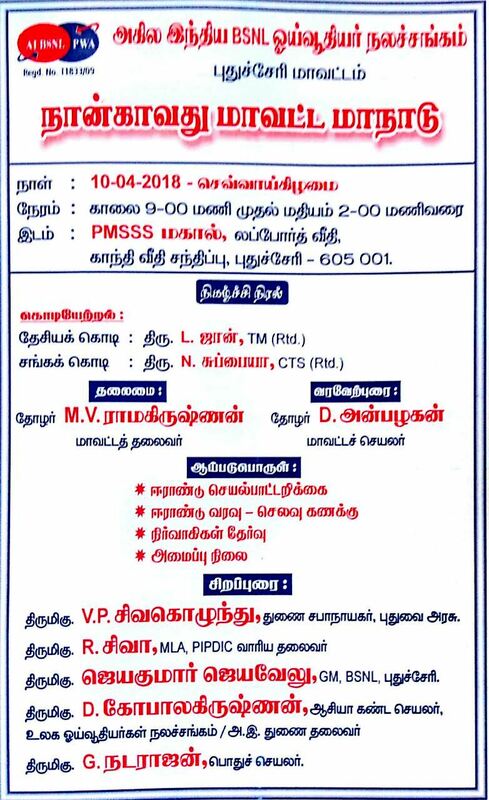 The Invitation for the same is posted here, Also the Invitations have been posted by India Post to all Executives of TN Circle, All District Secretaries and CHQ Office bearers of TN. If the Invitation is not received, kindly inform Com.Anbalagan, DS, Puducherry District at 94421 25855 or treat this as Invitation.